As part for the enhancement of each broker to serve the clients fully with ease, completeness, excellence, and honesty, the Continuing Professional Education (CPE) has come to its accomplishments. This is required for all the brokers to be, to finish all the 24 units in CPE. This is a must to all of those licensed brokers aspirants, before taking the exam. 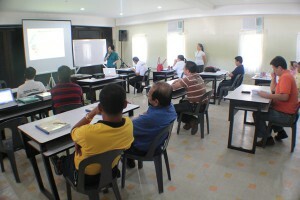 Well, it is just to say, “Attendance for every topic to be discussed is a MUST!” Just recently, the REBAP staff had once conducted a seminar for all the licensed brokers in the Philippines mainly here in Cagayan de Oro, last Saturday, August 21-22, 2010 in Budgetel, Corrales Street. It was participated by few personalities in diverging professions. There were Architects, lawyers, Businessmen, Realtors, and Appraisers, who are licensed brokers. On the first day, program started at 8 o’ clock in the morning and ended up at 9 in the evening. The day was done with the series of lectures as well as review for those who were done with the topics discussed. The sessions below will show the topics with its corresponding speakers. The seminar covered not only the rules, acts and duties only of the brokers. It also talked about the development of the City of Cagayan de Oro and its prospect projects within its vicinity. Thus, it shows that our city is having its dynamic functions, vision and mission, and its prosperity as well, which benefited to every Kagay-anons. One thing which caught my attention is the emphasized facts by the Housing and Land Use Regulatory Board (Northern Mindanao Region), regarding the bases of how they would approve every developer’s project. That was so substantial, that every participant had absorbed and understood those bases well. On the second day, the seminar had lined the legalities of every act by each broker and the things which should be in mind always. It talked about the finances and the other essential reminders to be enacted and not to be enacted by the brokers. It also viewed how to deal with the property dealings properly and legally in all means. The seminar served again, as the guide for every broker to promote good, ethical and just serves to every client. Thus, the seminar’s topics above viewed the lenient and just acts, and rules, which is in compliance and accordance of our constitution for the said profession. My name is Randolfh B. Concepcion. I took the REBAP for license broker exam seminar and passed the October 2008 broker’s exam, but wasn’t able to register before the implemented RESA Law July 2009. Now, I read that I can still be licensed provided I attend a seminar worth 15 points. Will you offer such seminar in the near future? Please let me know as I want to attend. Please let me know. Thanks. If you have a future CPE for real estate appraiser , Please invite me in my email add . May our Lord God be with you and your family always. Yes, do not worry, I will update you right away if there will be a next CPE seminar. It will be conducted anytime, as long as there will be 15-20 participants already. For now, we are waiting for more enthusiasts for the said seminar. You can also invite those others, or people you know, to make the next schedule be held. Thank you for the concern and for visiting our website! 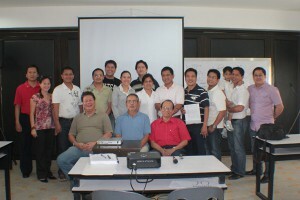 I will be attending the PARA Southmin CPE slated on October 22-24, 2010 @ Pinacle Hotel Davao City. Anyway if your future schedule CPE Seminar will be having different topics/ subjects or if there is an offer for review then we or I will disseminate the information in our area. It was enriching to learn on the follow-up communication. I came across some points on which I missed before. I look forward to come across similar articles as I explore the internet site. Thanks for sharing. Thank you for dropping by. Your comment is much appreciated. We will keep on posting recent events in real estate and here in CDO as well. For the benefit of everybody! Can I ask if you could help me look for License Brokers because we’re having our Project there in CDO, we’re urgently looking for brokers. Residing in the following areas are all welcome for accreditation. If you could help us kindly give us an update, email at us bahaycoopmindana?o@yahoo.com.ph? or call us at 415-8149 and look for Pearl, mobile number 09339830848. Thank you. GOD bless and more power!